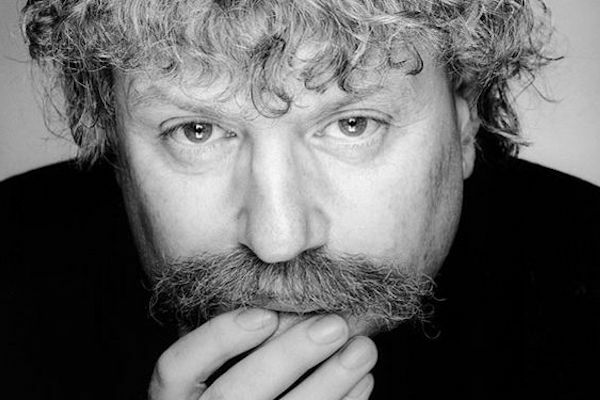 Sir Karl Jenkins was born and grew up in the South Wales village Gower of Penclawdd, situated along an estuary where the villagers rake in phenomenal quantities of cockles for export to Europe. His great luck was in having a father who, as schoolteacher, organist, and choirmaster, gave his son music lessons. Jenkins received classical music training at Wales’ Cardiff University and at the London Royal Academy of Music. He went on to gain broad experience as composer, arranger, jazz performer, and band leader, acquiring knowledge of music spanning many centuries and traditions. Jenkins first made his mark in jazz. On keyboard and oboe, he was a founding member of Nucleus, a pioneering prize-winning jazz-rock band. He later joined the psychedelic progressive rock and jazz fusion band Soft Machine, which was influential in the 1970s. In the mid-1990s, he entered mainstream music with the Adiemus project, which began as an experimentation with various vocal and instrumental sounds. The first three albums of the Adiemus series won phenomenal global recognition, topping both classical and popular music charts and winning 15 gold and platinum awards. World-class singers, such as Kiri Te Kanawa and Bryn Terfel, have recorded some of his vocal music. Jenkins has received many commissions from such prestigious sources as the Royal Ballet, the London Symphony, and HRH the Prince of Wales. Helen Harrelson began her playing career on euphonium with the Rotherham Schools Band before progressing to the National Youth Brass Band of Great Britain. She later changed to baritone and was accepted at the Royal Northern College of Music where she studied with James Gourley, Sandy Smith, Steven Mead, and Bob Childs. Over the past 20 years Helen has been a member of some of the world’s finest brass bands including Black Dyke, Fodens, YBS, & Fountain City with whom she has toured, recorded and competed. Helen has won numerous national titles both in the UK and USA. 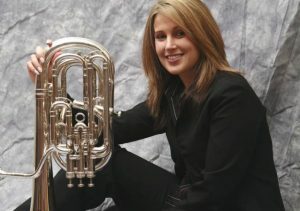 Helen has been a guest artist and clinician for the North American Brass Band Summer School, the International Woman’s Brass Conference, the International Tuba & Euphonium Conference, Kansas Music Educators Association, Missouri Music Educators Association and received an award for outstanding contribution to music education from the Kansas Bandmasters Association. Summer 2007 saw Helen take a voluntary sabbatical to Kansas City to perform with the Fountain City Brass Band and develop their youth brass band program. The Fountain City Youth Brass Academy has gone on to win 5 national titles in the last four years and the program had over 130 students currently enrolled. Her love of Kansas City saw her return back to the US in 2008 as Instrumental Music Teacher at St. James Academy. Since then, she has developed the school’s band and orchestra program and won two Blue Star Awards for Outstanding Pit Orchestra (Beauty and the Beast 2013, & Guys & Dolls 2016). In 2015 Helen completed her Masters of Arts in Music at the UMKC Conservatory of Music and Dance. Lee Harrelson is an Associate Professor of Music at Missouri Western State University. At Missouri Western he serves as the Chair of the Department of Music, coordinator of the music theory program and instructor of low brass and chamber music. Dr. Harrelson attended the University of Southern Mississippi, where he studied music education and music performance before completing his masters and doctorate at the University of Missouri-Kansas City’s Conservatory of Music and Dance. 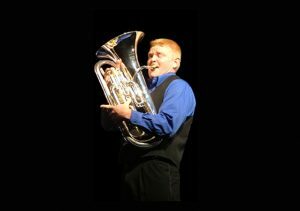 Dr. Harrelson is the founder of the Fountain City Brass Band and currently serves as its artistic director and principal euphoniumist. 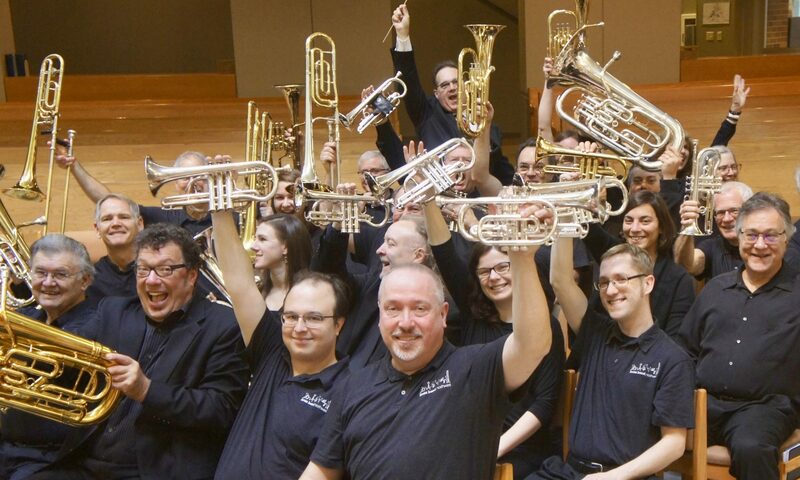 The Fountain City Brass Band (FCBB) is one of America’s premiere brass and percussion ensembles and has been featured throughout the U.S. and Europe in concerts and competitions. The FCBB is currently the top ranked brass band in the United States. Under Dr. Harrelson’s artistic leadership the band has won seven North American Brass Band Association Championships, eight U.S. Open Brass Band Championships and one Scottish Open Brass Band Championship since it began competing in 2004. At the 2011 All England International Brass Band Competition, as a member of the FCBB, Lee was named Best Instrumentalist; a first for an American at an English brass band competition. During his tenure the FCBB has produced four commercial recordings, performed with countless world-class soloists and developed a youth brass program, the Fountain City Youth Brass Academy, that serves over 100 students per year. 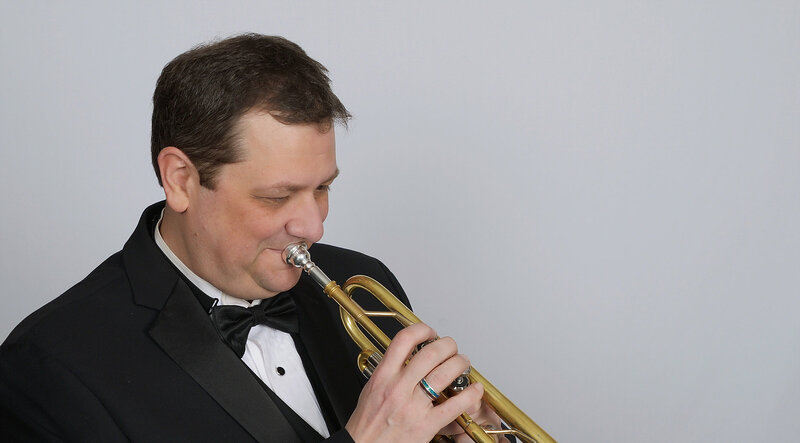 Dr. Harrelson can be heard on numerous commercially released recordings and has appeared throughout North America and Europe as a clinician, soloist and chamber musician. Lee Harrelson is a Buffet Group/Besson Performing Artist. 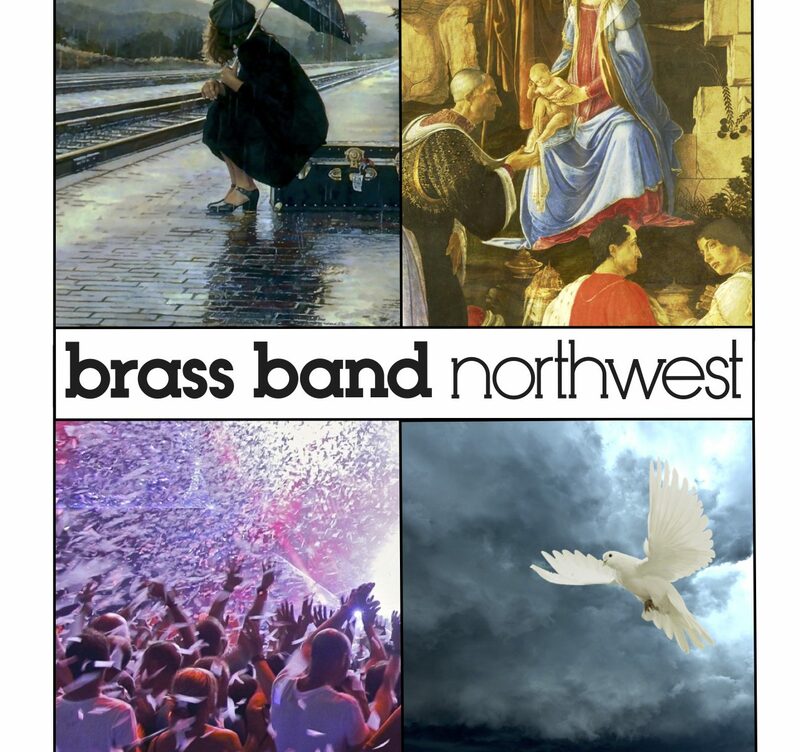 Brass Band Northwest has an exciting season planned and we hope you can join us for all of our concerts! We open our season with musical travelogues taken from great literature including Candide, Pilgrims Progress, Romeo and Juliet, and The Unfortunate Traveller. Pilgrim’s Progress is a Christian allegory first published in 1678 and continuously in print ever since. Philip Wilby portrays the key moments of the story which are connected by short excerpts from the text. Imogen Holst, daughter of Gustav Holst, wrote The Unfortunate Traveler when she was still in her teens which is based on the picaresque novel by Thomas Nashe of the same name. We complete our year of celebration of the centennial of Leonard Bernstein’s birth with two of his most popular works: Overture to Candide and his retelling of Romeo and Juliet, West Side Story. Our Christmas program is an evening of seasonal pops and light classics enjoyable for the whole family. The concert is named for a work by Ottorino Respighi–composer of the popular Pines of Rome–which describes the painting by Botticelli of the same name. The painting depicts the three wise men and the shepherds gathered around the baby. This program will likewise focus on music depicting the those who came to witness the baby. In March, Seattle Choral Company and Brass Band Northwest under the direction of Freddie Coleman join forces to present The Armed Man – a mass for peace by Karl Jenkins. This hour long work is based on L’Homme armé, a secular melody that was used as the basis for numerous mass settings in the Renaissance. By combining texts from Jewish, Muslim and Christian traditions, Carl Jenkins transforms this music into a plea for world peace. We conclude our season at BelPres with an exuberant explosion of music! This program features exciting music from many genres ranging from the art music style of Celebration by Donald Coakley through the vibrant score from Pirates of the Caribbean by Hans Zimmer to the almost surreal Toy Trumpet of Raymond Scott. Brass Band Northwest endeavors to provide opportunities for talented young musicians and are proud to feature Jonathan Holder, cornet on this concert. Jonathan is a high school student from Olympia and is the first winner of Stand in Front of the Band! He attended the Northwest Music Festival in 2018 and was so taken with the sound of brass bands that he commuted from Olympia to perform with us last spring. 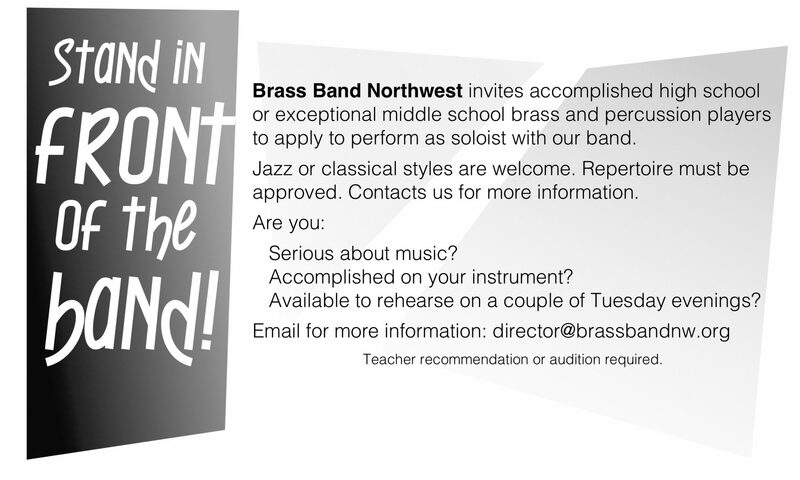 This past fall Brass Band Northwest began searching for exceptional high school musicians to stand in front of the band and perform a solo. Our first guest performer will be Jonathan Holder from Olympia. He plans to perform the “Slavische Fantasie” by Carl Höhone in June 2019. We look forward to working with Jonathan. If you are a talented high school or middle school performer, get in touch and perhaps you could be the next student to Stand In Front of the Band!